SIGN UP BY CLICKING HERE Edit: RACE STARTS AT 8AM, BUT WE NEED PEOPLE HERE AT 7:30 FOR SIGNUP! THANKS! Do you want some motivation to get fit? Lose a couple of pounds? Shed a couple tears? Get drunk with amazing friends? Jump fire, and rocket down a slip and slide of glory at the end of a beautiful race course? If that appeals to you in any way, or even if it doesn't, sign up for the 4th annual Pull Harder Marathon, hosted by the Men of Menkar (M.o.M.)! We'd love to share some smiles, tears, and drunken staggering with another amazing crowd this year. As usual, we'll be offering a 10k, 10 mile, and full marathon distance. Please click on the two respective links in the previous sentence for the race courses, and the marathon consists of running the 10 mile distance twice and the 10k distance once. Feel free to mix and match for a build your own adventure/distance! 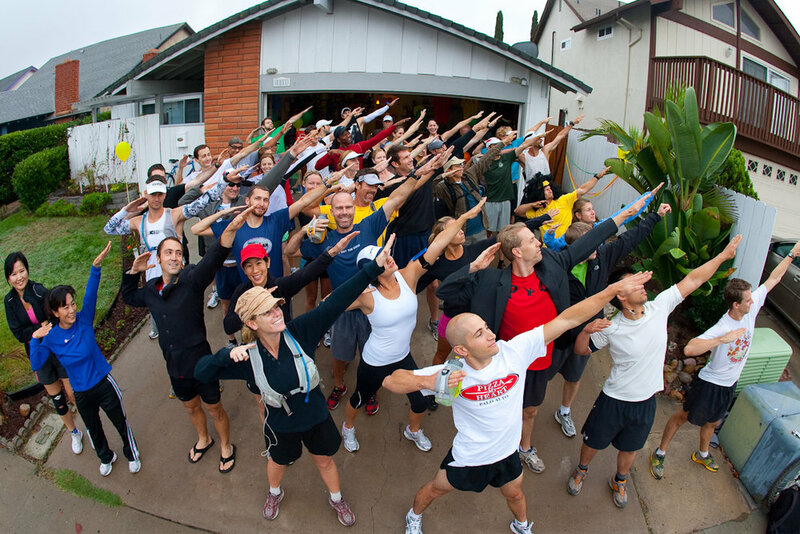 All races begin, and end, at the Menkar House, 8551 Menkar Rd, with food and electrolyte drinks supplied for the racers! The finish line is, of course, over the new and improved fire pit and into a slip and slide.... LIKE A BOSS!!!! As in the past, we'll be working on finding a local brewery to sponsor the event and provide a keg or pony keg for the event. If you're interested in volunteering to help out the day of the event, please send an e-mail to: menofmenkar@gmail.com. The race will start at 8am, and is self-supported outside of the food/drink at the house. If you're interested in a t-shirt, please let us know when you sign up for the race HERE, and click on "I want to pull harder". They will cost about $20. We generally try to keep the cost as low as possible. As usual, we're paying for this out of pocket, so if you're so inclined we'll have a donation jar out for the event and all contributions will be appreciated. Ian, our culinary expert, will be preparing some sort of BBQ, so please plan to stick around for some fun socializing and food while we wait for the marathon finishers before the awards ceremony. We are hoping to have cool medals, like for the 2nd Marathon, so come and give it your best be it for a PR or a big fat medallion!